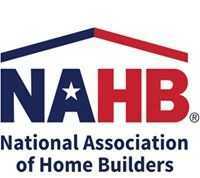 WASHINGTON, D.C. – (RealEstateRama) — Builder confidence in the single-family 55+ housing market remains in positive territory for the first quarter of 2015, according to the National Association of Home Builders’ (NAHB) 55+ Housing Market Index (HMI) released today. Compared to the previous quarter, the single-family index edged down slightly by one point to 58, which is the fourth consecutive quarter above 50. Two of the three components of the 55+ single-family HMI posted increases from the previous quarter: present sales increased one point to 64 and expected sales for the next six months rose three points to 67, while traffic of prospective buyers dropped eight points to 40. The 55+ multifamily condo HMI dipped four points to 38, and all components of the index dropped in the first quarter as well: present sales dropped three points to 41, expected sales for the next six months fell five points to 39 and traffic of prospective buyers increased dipped one point to 33. Three out of the four indices tracking production and demand of 55+ multifamily rentals posted increases for the first quarter. Present production jumped eight points to 58, expected future production increased one point to 52 and current demand for existing units rose three points to 68, while future demand dipped two points to 64.